Visit the Charlotte Motor Speedway Gift Shop located on the second floor of Smith Tower. There you will find a large collection of NASCAR, NHRA, Charlotte Motor Speedway, zMAX Dragway and The Dirt Track @ Charlotte-branded memorabilia. Monday - Saturday: Open 9 a.m. until 5 p.m.
Sunday: Open 1 p.m. - 5 p.m.
Race Days: Open 8 a.m.
Purchase a gift card in any amount today! Gift cards can be used on tickets, camping, and pit passes at Charlotte Motor Speedway, zMAX Dragway, and The Dirt Track at Charlotte. Give the gift of speed with a gift card! Officially licensed adult t-shirt features the Coca-Cola 600, Monster Energy NASCAR Cup Series event, at Charlotte Motor Speedway on May 26, 2019. 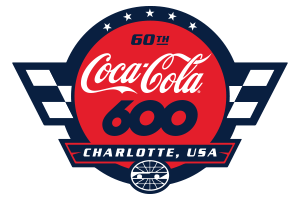 Officially licensed t-shirt features the Coca-Cola 600, Monster Energy NASCAR Cup Series event, at Charlotte Motor Speedway on May 26, 2019. Officially licensed Styrene sign features Charlotte Motor Speedway. Officially licensed adult hat features Charlotte's ROVAL, the new road course at Charlotte Motor Speedway which will debut on September 30, 2018. Officially licensed adult hat features Charlotte Motor Speedway with a “C” in raised embroidery on the front, along with the Charlotte Motor Speedway logo embroidered on the back. Officially licensed adult hat features Charlotte Motor Speedway with the track logo in raised embroidery on the front. Officially licensed adult t-shirt features Charlotte's ROVAL, the new road course at Charlotte Motor Speedway. Officially licensed youth t-shirt features Charlotte Motor Speedway with screen-printed graphics on the front. Officially licensed ladies t-shirt features The Dirt Track at Charlotte Motor Speedway with screen-printed graphics on the front. Officially licensed ladies shirt features Charlotte Motor Speedway with screen-printed graphics on the front. Officially licensed hat features zMAX Dragway with the track logo embroidered on the front and “4 Wide” embroidered on the back. Officially licensed ladies t-shirt features The Dirt Track at zMAX Dragway with screen-printed graphics on the front.